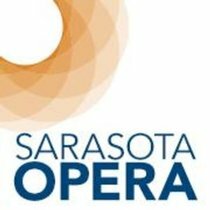 Sarasota Opera Super Casting Call For Men. Sarasota Opera is seeking a number of enthusiastic, outgoing men to volunteer as supernumeraries, or “supers”, the non-singing and non-speaking extras in the opera productions for its 2019 Winter Festival Season. Age range for these characters is from young adult to 65. The “super” roles are for men only. • Must weigh no more than 170 lbs.-175 lbs. Rehearsals will start in mid-January 2019 and the final performance of the winter season is March 24, 2019. The operas for which supers are needed are Puccini’s epic Turandot and Verdi’s biblically inspired Nabucco. The super roles include soldiers, banner carriers, Hebrew and Babylonian priests, servants, and others. Men interested in participating in this exciting season, please contact Director of Artistic Administration Greg Trupiano email: gtrupiano@sarasotaopera.org or call 941-366-8450 ext. 534 to schedule an appointment. Interviews will be on Thursday, November 1st, from 4:00 p.m. – 6:00 p.m. at the Sarasota Opera House.